Students who are eligible for Grade 10 placement and have reached the age of 15 on or before September 30 may apply to the program. Students in the Career Exploration Program are successful due to the winning combination of academic courses, hands-on elective courses and Co-operative Education opportunities. Courses are designed to meet the needs of a great range of learners, including those who may proceed to post-secondary education as well as, those who will be seeking direct entry into the work force following high school graduation. Class sizes are also smaller, allowing for more one-on-one time with the teacher. The Career Exploration Program ensures that students will complete their Nova Scotia High School Graduation Diploma while gaining invaluable employability skills and meaningful co-op work experience. Students also have the opportunity for additional certification in WHIMIS, First Aid and Food Handling. 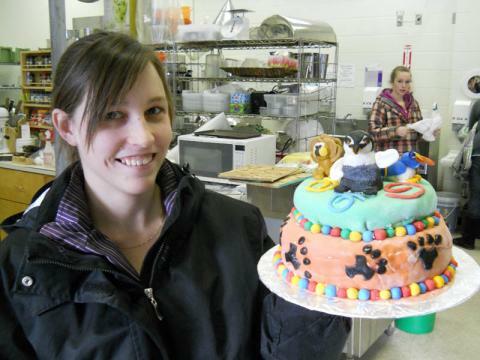 Career Exploration Program students, like all students in Nova Scotia, require 18 credits to graduate.